For reimbursements contact Jennifer Hardy. Conference is taking place in MATH 501. 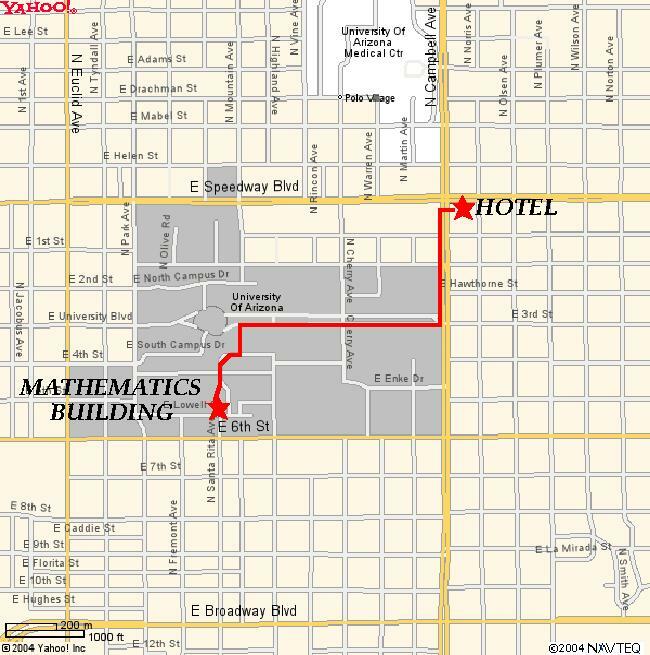 Here is how to get from the hotel to MATH bldg at the University of Arizona campus. 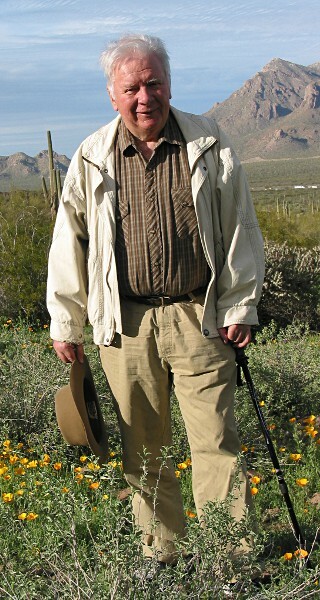 Progress in the development of new tools for modern applied mathematics resulted in a better scientific understanding of nonlinear waves in various and quite distinct fields ranging from nonlinear optics, hydrodynamics, plasmas to biological systems, the theory of general relativity and the topological theory of knots. The universality of the equations describing wave processes is one of the most important components of this success. The nonlinear Schrodinger equation and the Korteweg de Vries equation are among the best illustrations of successful outcomes from applied mathematics resulting from the efforts to understand various nonlinear phenomena ranging from optical communications and Bose condensation to ocean waves. Solutions of nonlinear equations such at those mentioned above, usually result in the formation of singularities, coherent structures or solitary waves. Examples of relevant phenomena predicted by these models can be related to filamentation of laser beams in nonlinear media, wave breaking in hydrodynamics, collapse, Langmuir waves in plasmas and ocean turbulence. Analytical and numerical models continue to evolve allowing deeper understanding of these phenomena at fine spatial and temporal scales. Because of the diversity of the nonlinear dynamics, correct models require good understanding of the underlying physics and the recognition of characteristic dominant scales and effects so that asymptotic methods could lead to tractable models. On the applied side, the recent achievements in materials science and nano-technology have revealed extraordinary new possibilities for applications in chemistry, biology, medicine, information science and communications. Identification of universality as well as differences in nonlinear models and mechanisms of formation of singularities, dynamics of solitary waves and turbulence in nonlinear optics, hydrodynamics, plasmas, biology and other areas.